Developed by IO Interactive and Published by Square Enix. Released March 11, 2016. Available on PC, Xbox One and PlayStation 4. Review code provided by developer. 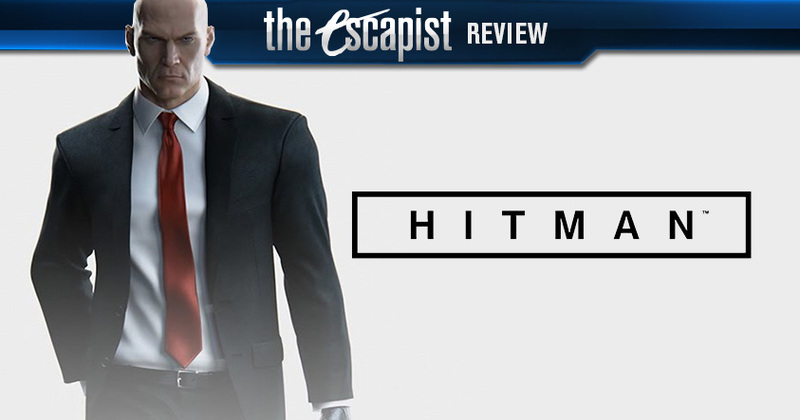 Hitman has gotten flack from critics before. From Anita Sarkeesian's highly debated criticism that it was a murder simulator to its controversial trailer featuring nuns with machine guns, it's been called out a lot. But the fact is, stripping away whether or not violence in games is problematic, it's just a very fun game. 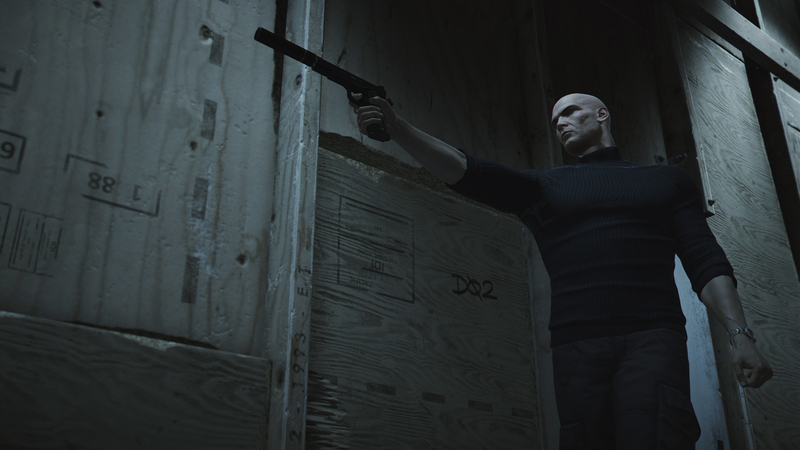 In Hitman, the series evolves. Murder becomes an artform and your targets are your canvas. As Agent 47, you seek out your targets-powerful individuals protected by layers of security-and assassinate them in whatever manner you consider most artistic. You can choose to silently stalk your target, picking off his bodyguards one at a time until he's alone and vulnerable and strangling him to death with piano wire-or you can lie in wait in a bathroom after you've poisoned his drink and drown him to death in a toilet bowl filled with his own sick. If direct action isn't your style, you can paint his death to look like an accident and escape the scene with no one the wiser. 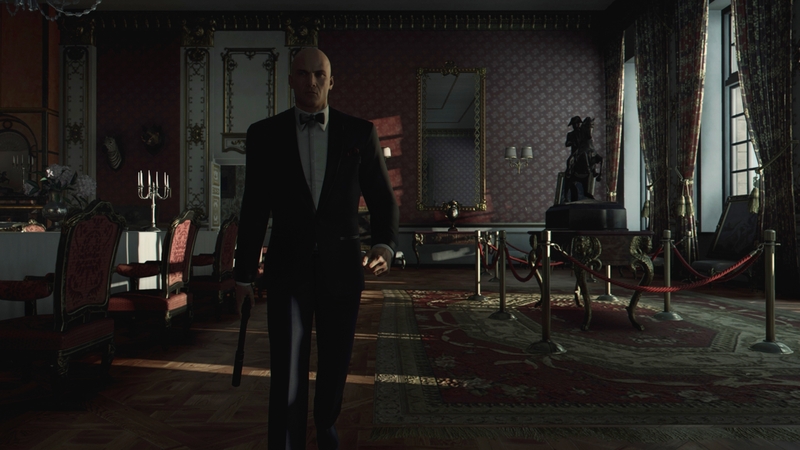 The new Hitman follows in the footsteps of the original games, but it does it better, with more cinematic flair that's no more evident than in the game's first episode. Set at a lavish mansion in Paris, you're tasked with the assassination of two high profile targets-a fashion mogul and his supermodel wife. They're throwing a party, and you're invited. The level is essentially a huge sandbox, in which you have two simple goals-killing the two targets-but a variety of ways and means to carry out your kills. In my perfect playthrough, I chose to don the disguise of a male model whom I bore a striking resemblance to, got my makeup done after hiding his unconscious body, and even walked down the runway. Agent 47 does his best impression of Derek Zoolander as he struts and poses in front of an audience that has no clue about what he plans to do. I wouldn't have known about the model who looked just like Agent 47 for at least several playthroughs, were it not for Hitman's newly implemented "Opportunities" mechanic. Figuring out what you can do doesn't have to be a matter of guesswork anymore as the game will inform you whenever there's an interesting bit of dialogue you should pay attention to. Learning new information allows you to pursue specific means of killing your targets-but aside from placing waypoints to targets and items on the map, it doesn't do much to hold your hand. I had to survey the male model's pathing routines, avoid detection from security guards, and find a place to safely hide his body. All the new mechanic provided was a general location of the character's whereabouts and not much else. How I chose to deal with him, don his disguise, and sneak past the guards was all up to me. Even so, it's an option you can choose to disable if you prefer to play the game completely unguided, but I kept it on to know what I could do during the mission without having to hunt high and low for what I was looking for. Likewise, Agent 47 has complete awareness of his surroundings thanks to an instincts mode you can toggle to see through walls and never lose sight of your target, highlighted in red. If you ever get caught, it's on you for not paying attention. It's no longer possible to simply waltz through the mission using a single disguise, either. If you wear a policeman's uniform, other cops will be immediately suspicious of you for not looking like one of their co-workers, though no one else will give you any trouble. Likewise, if you dress up as a waiter, expect to get strange looks from service staff. And if you're ever caught sneaking around or knocking someone out, you'll need to change your disguise as word of your description spreads from person to person. Interestingly, you can even watch as panicked employees run to security guards to report what they saw and describe you. Deciding what to disguise yourself is one of Hitman's most interesting challenges, with each uniform affording a different set of trade-offs and opportunities. Finding someone who wears the disguise you want can in itself be a challenge, but thanks to the aforementioned Opportunities system, the whole process requires a lot less trial and error. In earlier games, it was necessary to run through each mission multiple times to discover where things were before you could execute a proper run-through. In the new Hitman, you don't need to play through the map multiple times to learn where everything is, but you'll want to-because it's fun to figure out different ways of executing your marks and carrying out those plans. There's even incentive to do so this time around besides attaining that perfect "Silent Assassin" rating that made Let's Plays of the earlier games so popular. There are dozens of challenges on each mission that, once completed, unlock new weapons and utility items and even entry points. There's no need to walk down the red carpet each time you start the Paris mission. You can start the mission elsewhere on the map with different equipment at your disposal. The only drawback to replaying missions is that you'll have to listen to the same scripted dialogue on certain occasions. It's slightly annoying, and there should be an option to skip some of of it. 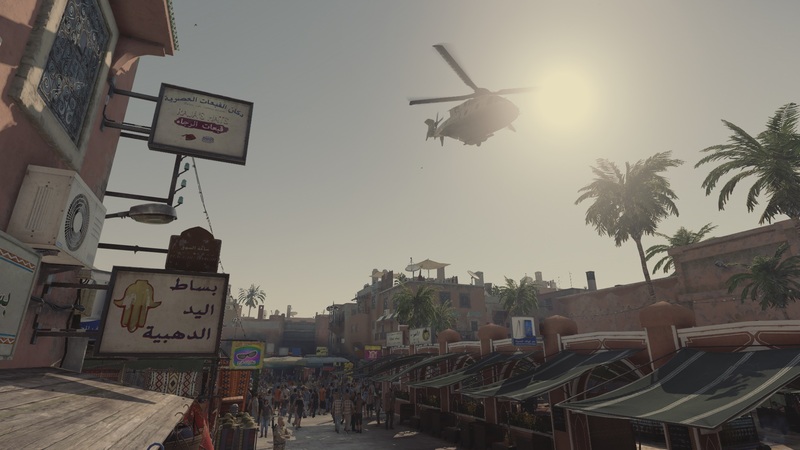 Outside the story missions, which will be continued in future episodes of Hitman, you can participate in a variety of different modes that the developers at IO Interactive promises to produce content for on a regular basis. 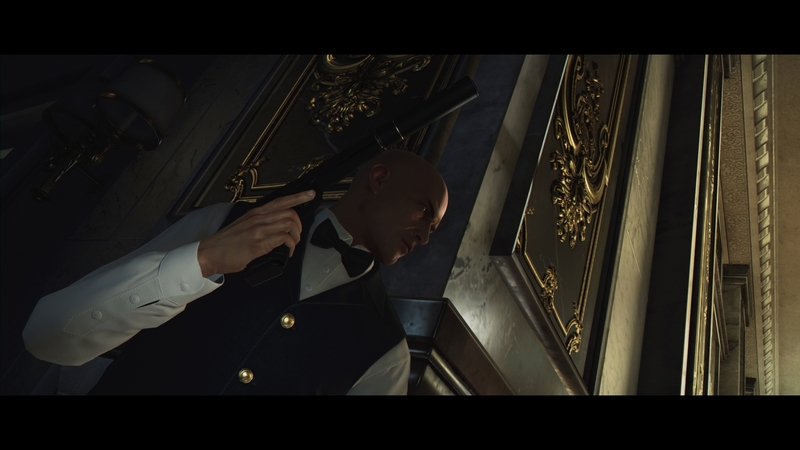 The new Hitman also sees the return of Contracts from Hitman: Absolution, which lets you set up hits on targets while dressed in a specific disguise and killing them with a specific weapon. It's somewhat similar to the Endurance mode in Rise of the Tomb Raider, in that you can more or less design your own challenges. 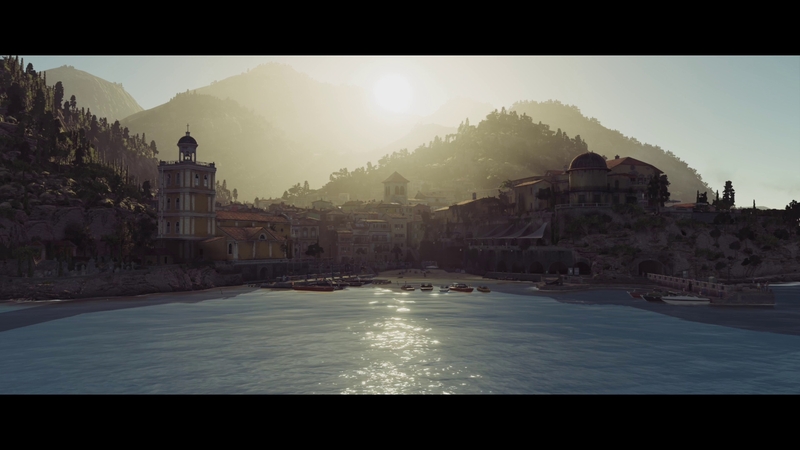 Hitman holds a lot of promise, especially in this first episode. If the next episodes, which are to be released throughout the rest of the year, are anything like this one, then fans of the series are going to be more than happy with what IO Interactive has to offer. 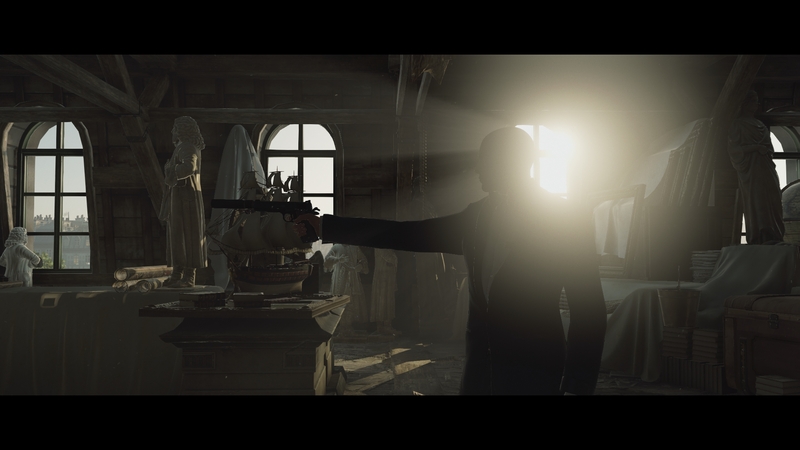 Bottom Line: Hitman lives up to the legacy of the original games, and redeems the series from the lows of Hitman: Absolution by taking the series to new heights. Recommendation: Assassins who enjoy playing around in a freeform sandbox will absolutely love this game. I know I do.